Last week, we looked at some of the trends in e-mail, courtesy of e-mail marketing and newsletter service MailerMailer, which has compiled the Email Marketing Metrics Report after analyzing more than 900 million e-mail messages. Given how many platforms are competing for people’s time, from Facebook to Twitter to texting, it’s crucial that your e-newsletter keeps people clicking. Here are more findings from the survey that can help you keep your e-mails out of the virtual trash bin. The days of the week: Sundays were the highest open day, while Mondays were the lowest. That doesn’t necessarily mean everyone should start sending their e-mails out on Sundays, though. If you want to test the best day and time to send yours, do a trial run. Split your list into two parts and send them at different times, then compare. Getting personal: When it comes to personalization, skip putting the recipient’s name in the subject line. That’s a trick spammers long ago adopted, and it’s likely to get your e-mail deleted. Do personalize the body of the e-mail, though — this generates open rates 7 percent higher and click rates 80 percent higher, on average, than e-mail messages without personalization. If you don’t have a name for everyone on your list, come up with a generic substitute for those entries — some personalization is better than none at all. Let’s give ’em something to click on: The more links you have, the greater the chance that you’ll get a high click-through rate. But remember that it is quality over quantity — think about each link and how it’s benefiting your company to have readers click on it. Keep it snappy: A long subject line may say more, but it gets read less. Subject lines with fewer than 35 characters had 17.6 percent open rates on average, while those longer than 35 characters were only opened 11.6 percent of the time. 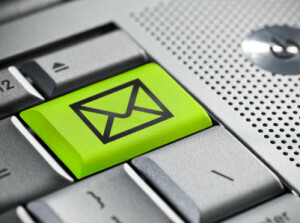 Click rates for e-mails with short subject lines are also better, by a whopping 69 percent.